If one particular component of an aircraft was determined to be the root cause of 90% of all accidents, wouldn’t we have an Airworthiness Directive out on it? Wouldn’t it be replaced completely? Well we do have such a component: the pilot. We’re at the point where this isn’t just an academic exercise. A pilot-free airliner or business aircraft is well within the realm of today’s technology. NASA has been researching single-pilot airline cockpits; that gets us halfway there. Corporate aircraft ranging from King Airs to Citations have been certified and operated by a single pilot for decades. On the other hand, after the Germanwings disaster virtually every airline now has a policy ensuring there are never less than two people on the flight deck — the exact opposite. So which way should we be heading? Despite extensive training on hazardous attitudes and ADM, pilots aren’t immune to this phenomenon. We’re still human. In fact, the successful, driven type of personality our avocation attracts probably make it more common than in the automotive world. If 93% of drivers feel they’re above average, one wonders how high the needle swings on the pilot population. Who among us wants to admit that despite the massive investment of time, effort, and money we are still subpar? That sort of acknowledgement can be pretty hard a person’s self-image, but aviators should care about this phenomenon because nine out of ten accidents are attributed to pilot error. In other words, we literally are the weakest link. To err may be human, but it’s grating to find myself making the same mistake multiple times; doing so runs a little too close to Einstein’s definition of insanity. For example, I’ve flown while suffering from active food poisoning on two occasions. The circumstances were not identical, but you’d think I’d have learned enough from one episode to have avoided the other. The first case hit me during a picnic at the Santa Ynez Airport. I had two choices: stay in town or fly home. I chose the latter, and while I made it back without incident, it was a lousy decision to takeoff when feeling so bad. 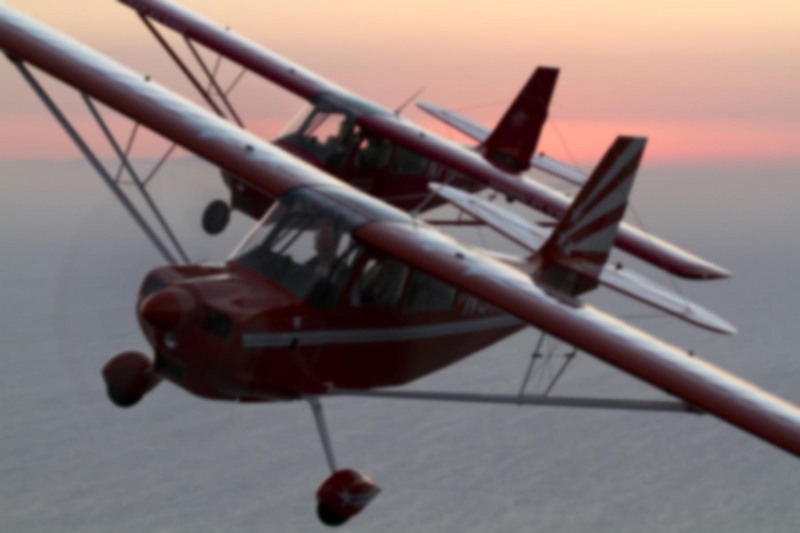 The second incident occurred at an aerobatic contest in Delano, California. These contests take place in areas where it’s hot and windy. Pilots assist with contest operation when they’re not flying, meaning we’re busy and spend most of the day out in the sun. It’s common to end up dehydrated even while drinking plenty of water. I ate something which didn’t agree with me, and by the time I realized how bad the poisoning was, I’d already flown a hard aerobatic sequence. This is why I’ve come to be a big believer in the IMSAFE checklist. Amy Laboda just wrote about the importance of this checklist a few days ago. If we can ensure the biological component of our flying is in airworthy shape, the odds of a safe flight rise considerably. IMSAFE isn’t even a complete checklist. It doesn’t mention nutrituion, for example — something my wife will tell you I sometimes ignore. Pilots may be the cause of most accidents, but in my experience they’re also the cause of most “saves”. Quantas 32, Apollo 13, United 232, Air Canada 143, and USAir 1549 are just a few famous examples of human ingenuity keeping what should have been an unrecoverable mechanical failure at bay. I know of several general aviation incidents which turned out well due to the creative efforts of the pilots. These typically don’t make the evening news, and I imagine there are countless more we’ll never hear about, because when a flight lands without incident it doesn’t generate much attention or publicity. The statistics do us a disservice in that regard. This is why I feel removing humans from the cockpit is not the answer. Commercial flying already holds claim as the safest form of transportation. Light general aviation is a different story, but that’s the price we pay for the incredible freedom and diversity offered by Part 91. No, we would be better served by focusing on improved aeronautical decision making, self-assessment, and training. As I’ve found through bitter experience, it’s a constant battle. Just because you’ve made a thousand flights without incident doesn’t mean your next one will be safe. It’s up to each of us to maintain vigilance throughout every single one of our airborne days. Statistically speaking, we are the weakest link. But we don’t have to be. Next month, Airways magazine is publishing the first of a fascinating 3-part interview I had with Captain de Crespigny of QF32, who talks in detail about his ordeal after the Number Two engine exploded on his A380, destroying 21 of 22 systems on board. Coincidentally, they had 5 pilots in the cockpit that day, and every one of them was busy for 2 hours troubleshooting and preparing for the emergency landing. Try giving THAT job to a single pilot or—heavens forbid—a computer! The 2-man cockpit remains the safest for today’s airliner. I enjoyed your article! Interesting that we both mention the QF32 incident. It’s a shame there’s no way for safety statistics to take into account the kind of collaborative effort and creative thinking that saved hundreds of lives that day. A computer is certainly capable of flying an airplane, and doing so quite precisely. Just today, the unmanned X-47B completed a midair refueling. But that’s not really what the pilot gets paid the big bucks for. We train and study and practice for days like QF32, stuff a computer just wouldn’t be able to handle. Likewise, some of the complex weather decisions we make while airborne would be difficult for a computer to replicate, because radar returns and weather forecasts aren’t always accurate, but sensor input would be the only thing a computer could rely on. Chris Manno pointed out that the solution to some problems — smoke or electrical fire, for example — is to shut down the very electrical system that would be powering an automated aircraft. I’m sure to the general public it seems so simple to eliminate the human up front, but at the end of the day you’re just trading one set of hazards for another. Good argument Ron. In this day and age, pilots can definitely be the weakest link. However we can also be the smartest, and that’s why we still belong in the cockpit. It would SEEM to be a soulless hunk of metal because it IS… I suspect you’re not the only pilot with a wide romantic streak. Ron – I’m on vacation in DC this week and always take time to soak up your thoughts; keep it up! We in the Coast Guard call not wanting to make the same mistakes twice Personal Error Management (PEM), which I’m sure is rooted in FAA pubs. I explain it this way to our new pilots- every time you fly, you are the constant in the cockpit and always there, where as the other pilot is constantly changing and less likely to error trap your mistakes which you repeat. This was obvious to me when I missed things in checklists because I left the checklist to get updated MEDEVAC info in Iraq or later in a hurry in the USCG. The way I have defeated this mistake is to recognize it and to always re-enter the checklist higher than I think I need to until I recognize a new checklist item. Trust me – there are others but I have solutions for those as well. Basically – recognize and trap mistakes that you make flight after flight that the other pilot won’t recognize as a mistake because this is their first flight with you in so many weeks. Put the “professional” in Personal Error Mgmt. Good tip, Kevin! I haven’t heard the term “Personal Error Management”, but the concept is familiar. We’re taught to re-start from the top of any checklist which gets interrupted prior to completion. That’s the theory, anyway. Some of these lists are incredibly long. The “before start” factory checklist on a G-IV has more than 100 items, for example (which is a whole other topic!). What tends to happen in the real world is just what you described: back up far enough to ensure everything up to that point was properly completed. There are several layers of safety in the cockpit. Obviously the pilot himself is the first line of defense. The better he is able to self-monitor, the fewer of those layers will be breached. I think every aviator has their own weaknesses. As an instructor I’ve seen some pilots who always rush. Others tend to get distracted too easily. Some go through things simply by “rote” even when they appear to be reading the checklist. It’s like hypoxia: everyone has their own unique symptoms. As the ancient Greeks said: γνῶθι σεαυτόν (“know thyself”).